Lambeau Field is the iconic home of the Green Bay Packers, 13-time champions of the National Football League. Constructed in 1957, the stadium has undergone multiple additions and renovations through the years designed to provide the modern amenities and revenue production expected in today’s professional sports environment. Mavid Construction has played a significant role in several of these projects since the company’s 2008 inception. The range of services it has provided to the Green Bay Packers organization has included metal-stud and drywall; ceilings; glass & glazing; and flooring & ceramic tile. All Lambeau Field projects have had to be finished during the NFL offseason, with a hard completion date of the first weekend in August, when the Packers hold their annual, sold-out Family Night event. Liquidated damages kick in if work is not wrapped up by Family Night, and no other project has a hard deadline where more than 70,000 people are showing up to utilize the facility. 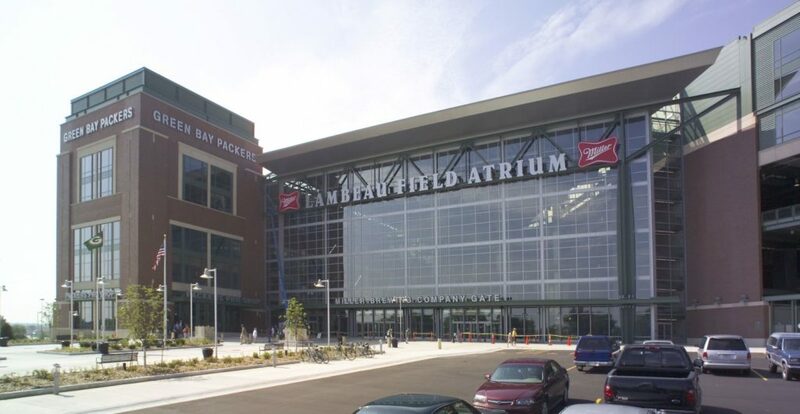 Mavid Construction has always met the Family Night deadline on all of its projects at Lambeau Field. Its success has been aided by creating efficiencies like panelizing work off-site and internal scheduling practices to ensure just the right amount of company personnel are on the job site. The Lambeau Field Atrium renovation project took place from 2014-15, was comprised of several aspects. It included a new public gate, the American Family Gate; renovation of the existing Oneida Nation Gate; new facilities for the team’s players and coaches; a new Packers Hall of Fame; and a new public restaurant, 1919 Kitchen & Tap. In all, the project totaled $140.5 million and required roughly 30 Mavid Construction professionals at peak times. For the Oneida Nation Gate renovation, Mavid Construction performed metal-stud and drywall; glass & glazing; and flooring & ceramic tile. In a complementary portion of this project, company installers provided extensive tile work in hydrotherapy rooms utilized by Packers personnel, including players, and unique carpet flooring in a trophy room. 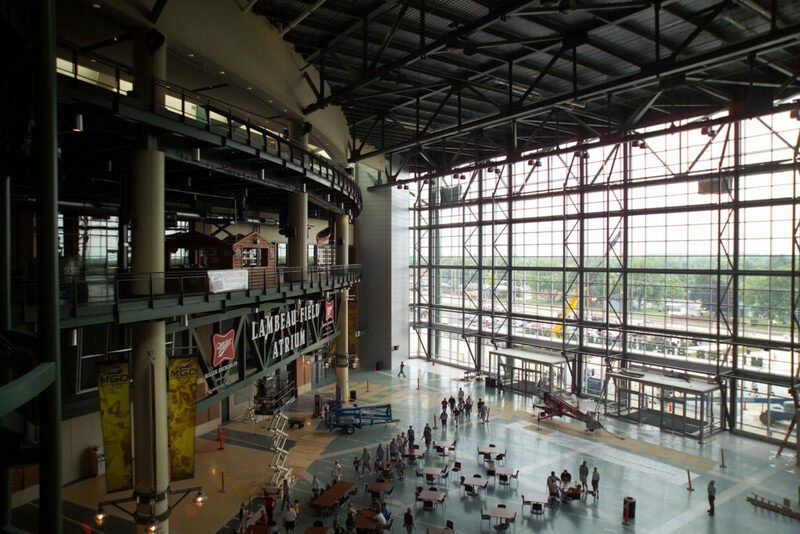 Within the new Packers Hall of Fame, Mavid Construction installed both the flooring and ceilings; the flooring products were specialized in order to withstand the heavy use of a public space. At 1919 Kitchen & Tap, the company was responsible for flooring and ceramic-tile installations.